Are you sad Peanut Butter isn’t Whole30 approved?! 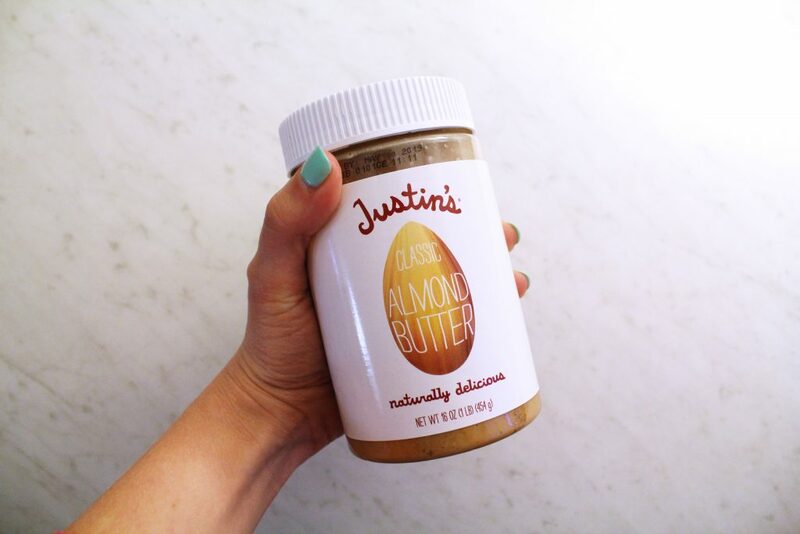 Have no fear- almond butter is DELICIOUS! 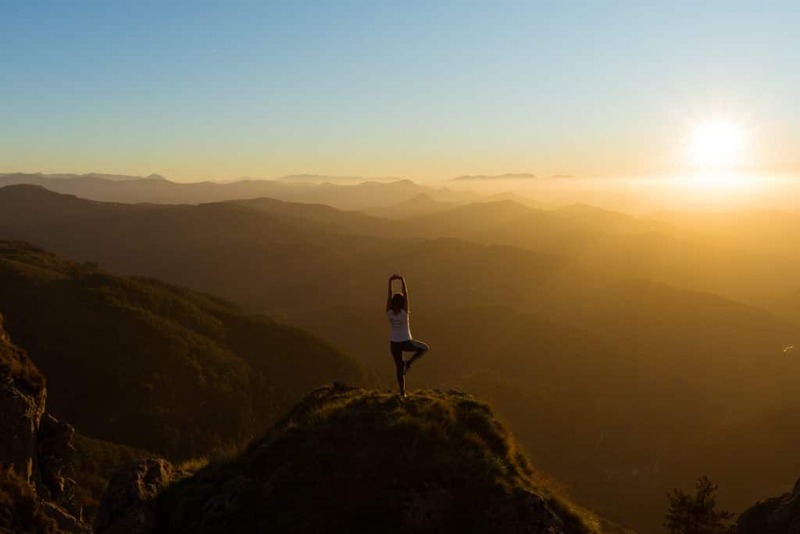 I’ve compiled this list of Whole30 Approved Almond Butter Brands and where to find them to make it that much easier for you! 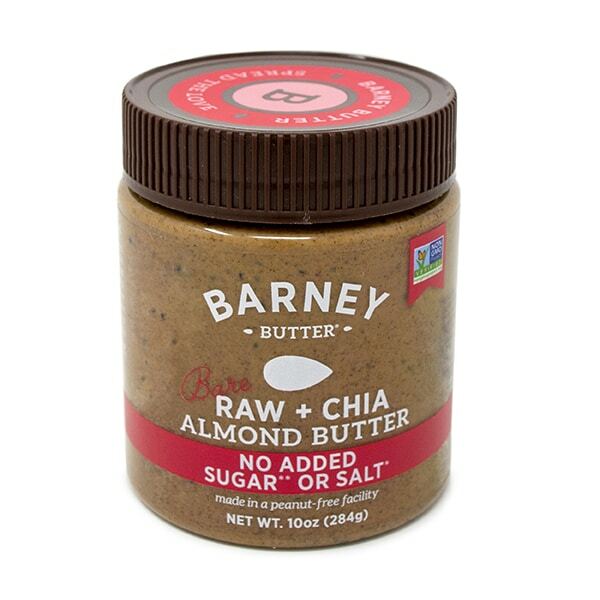 What is the official rule when it comes to Whole30 Compliant Almond Butter? As long as the ingredients in your almond butter are compliant, then that almond butter is Whole30. Here is the “Tip” about Almond Milk in my favorite Whole30 Book simply called “The Whole30,” and as I’ve said in other Whole30 Resource posts, I think it’s applicable in this situation, too. Tip: Nuts and seeds aren’t your best fat choice, in general, and drinking your food is always less healthy than eating it. So when it comes to almond milk, even if you make your own… we’d rather you just eat the almonds once in awhile! Generally, for satiety and hormone balance, eating (and chewing) your food is always preferred to drinking it. 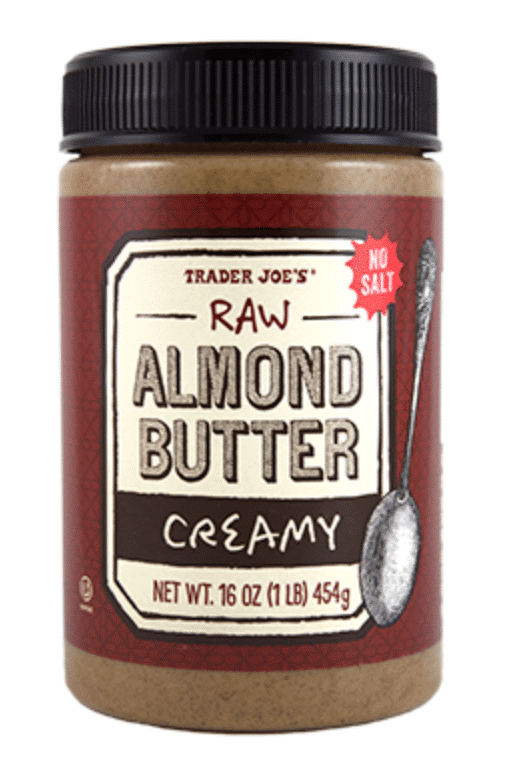 Almond butter is another one of those weird in between, because you’re obviously eating it, but you’re not actively chewing it like food. Also, as stated above, nuts aren’t your best fat choice, but that doesn’t exclude them from the Whole30 entirely. 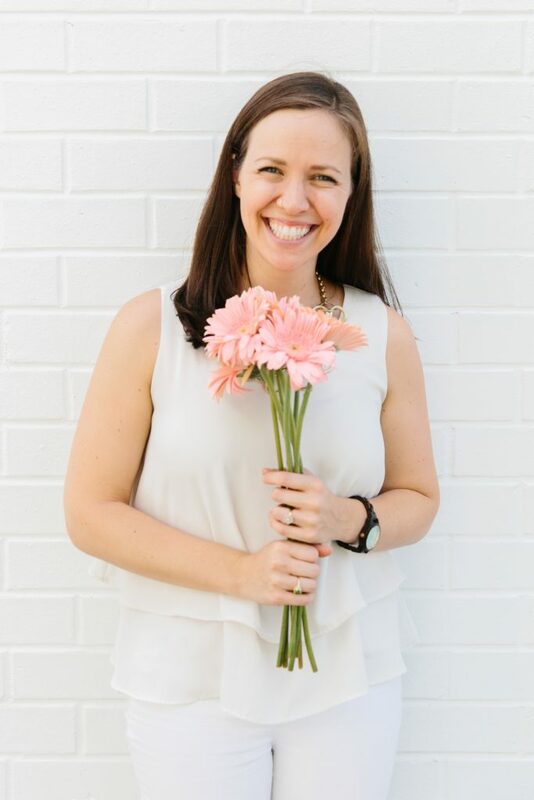 Let’s be honest here, there will be times we want to sit down and have some yummy almond butter as a quick snack, so I want to provide you with a list of Whole30 Compliant Almond Butter Brands and Where to Find them to make it as easy as possible for you! Just don’t make this your every day snack. 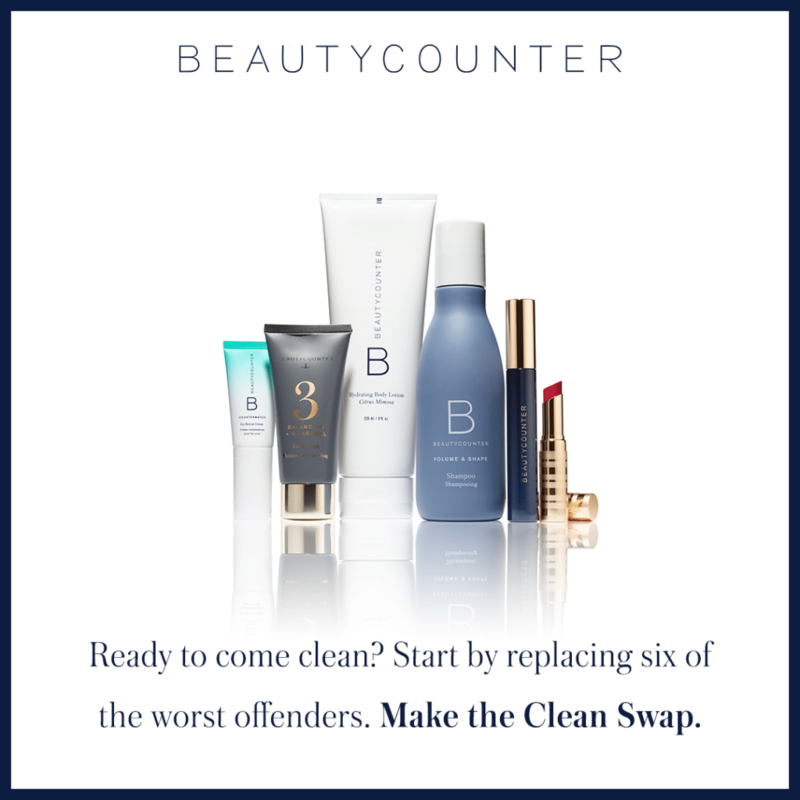 What we don’t want to reinforce is your current almond-butter-on-everything routine. This doesn’t line up at all with the Whole30 Meal Template. You could use the Whole30 Compliant almond butter options below as an added element to your snack routine, and sparingly at that. 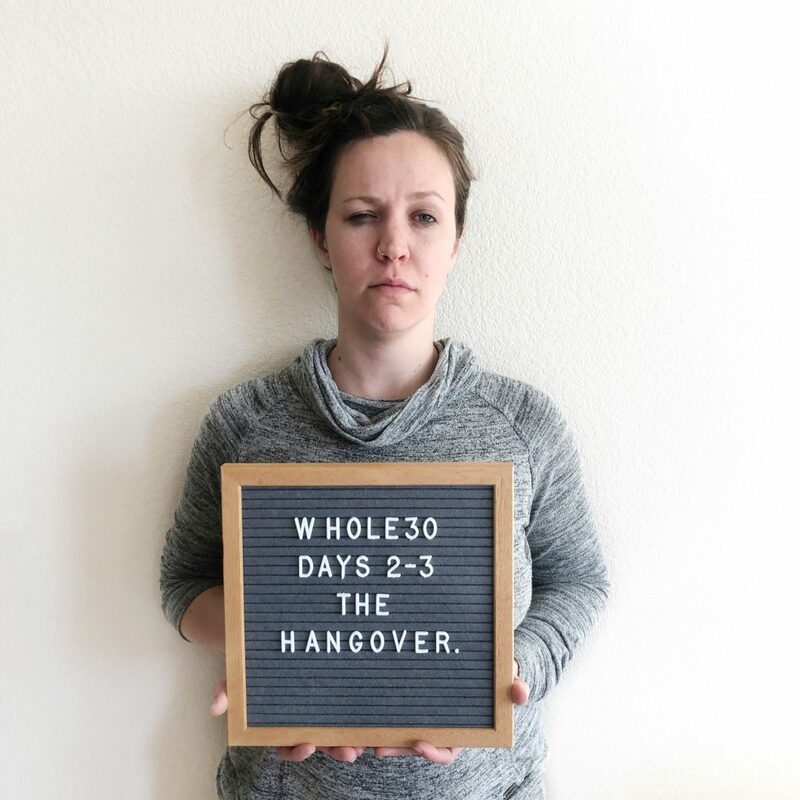 The Whole30 is such a personal thing- it’s up to you if you feel like Whole30 Compliant almond butter options are a good choice for you and your Whole30. 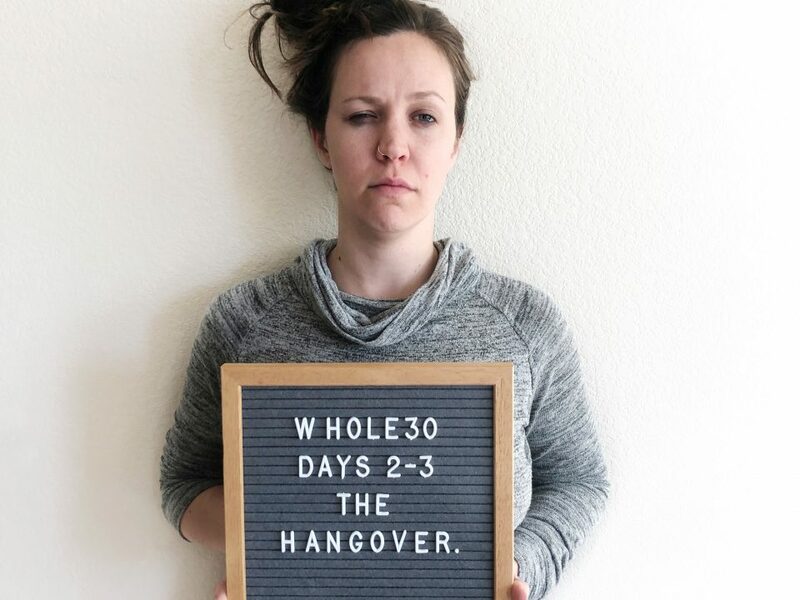 If you find yourself eating too much or it or too often, it might not be a good choice for your Whole30. We’re looking for as few ingredients as possible! 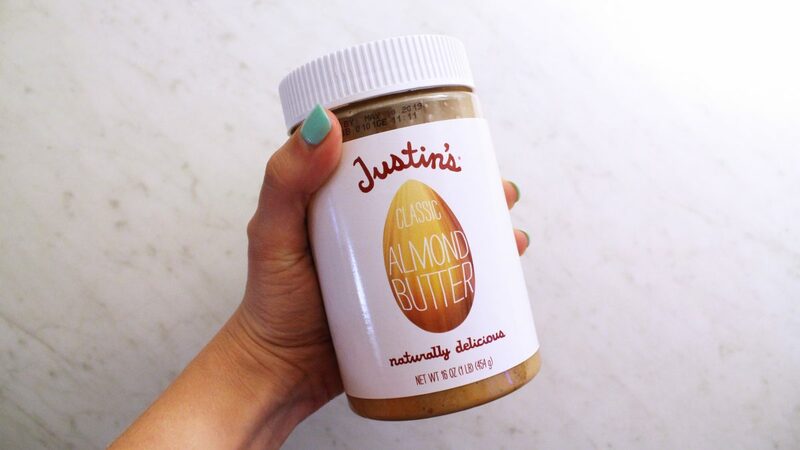 Some Whole30 Compliant almond butter brands only have one ingredient: ALMONDS! You can have either roasted or raw almond butter. It will always be unsweetened. We’re trying to avoid all sweeteners (look in the ingredients themselves, NOT the nutrition label). To see all of them you can get the Whole30 Sweeteners cheatsheet here. Also avoid carrageenan, soy lecithin (sunflower lecithin is ok! ), and sulfites [sulfur dioxide, sodium bisulfate, potassium metabisulfite]. 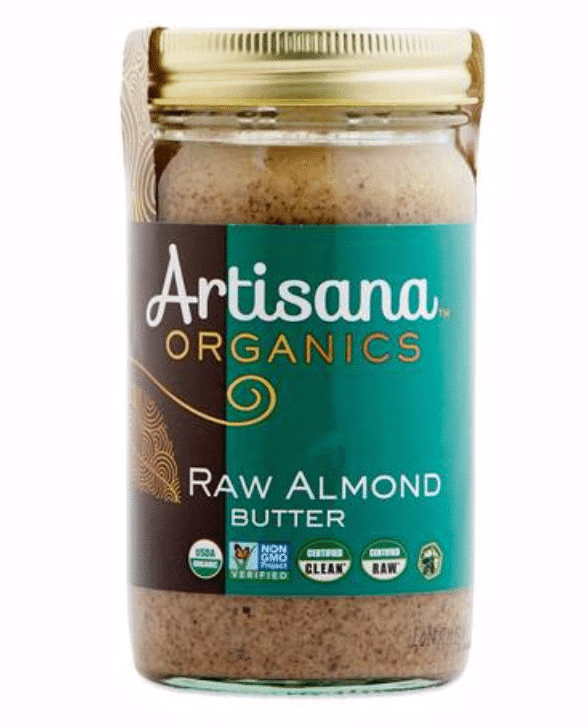 You might see palm fruit oil or dry roasted almonds in almond butters, which are both compliant, so no worries there. 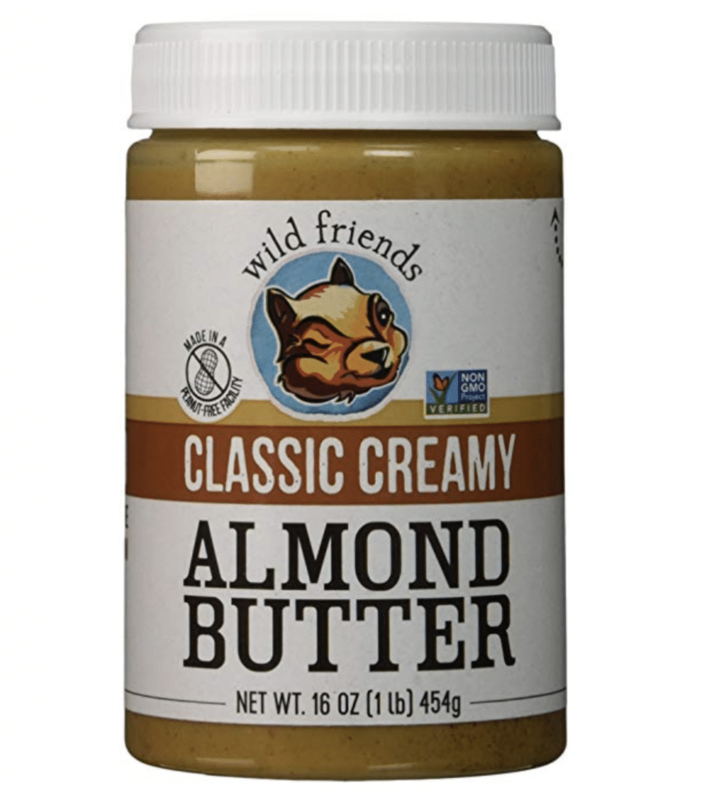 Are there any Whole30 Approved® Almond Butter Brands? First, let me explain that Whole30 Approved® is a label trademarked by the Whole30. 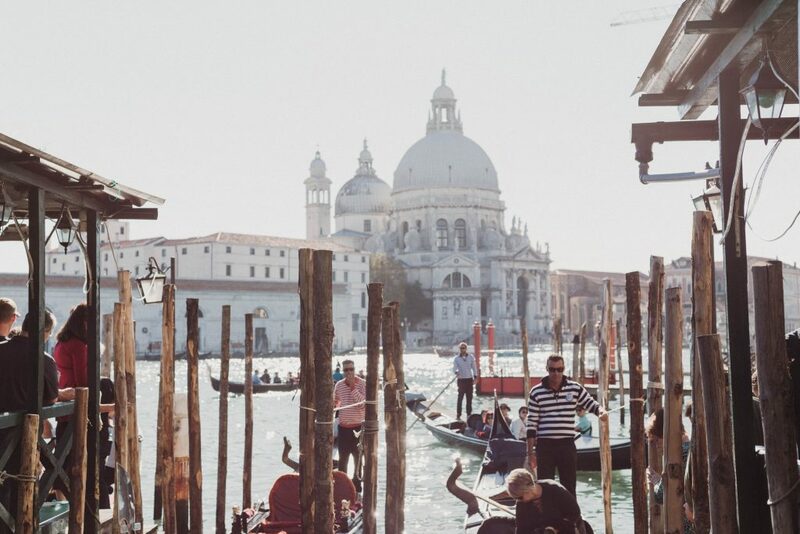 Brands can become officially Whole30 Approved®, and use the Whole30 Approved label on their products to help consumers like us know when a product is trusted by the Whole30 team. 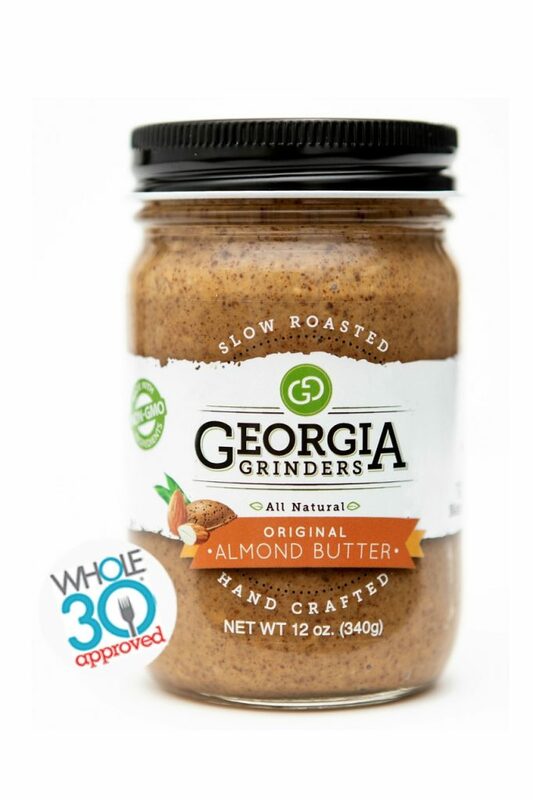 That being said, there are two Whole30 Approved® Almond Butter Brands: Georgia Grinders and Mee Eat Paleo. 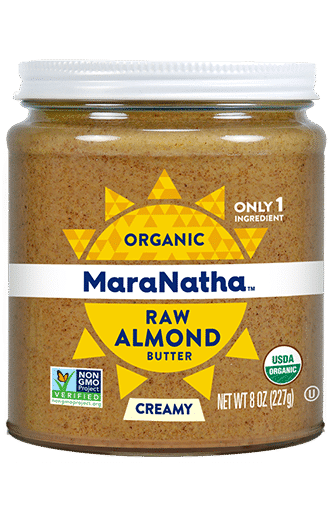 Now, before you freak out, there are a LOT of Whole30 Compliant almond butter brands, and I’m sharing those below, too! 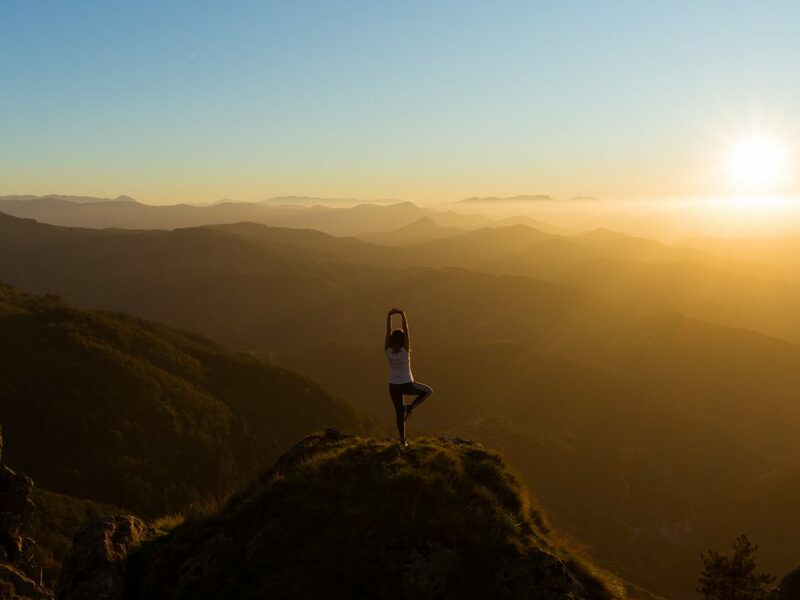 To see all of the items that are officially Whole30 Approved®, click here! Ingredients: Roasted Almonds and Sea Salt. 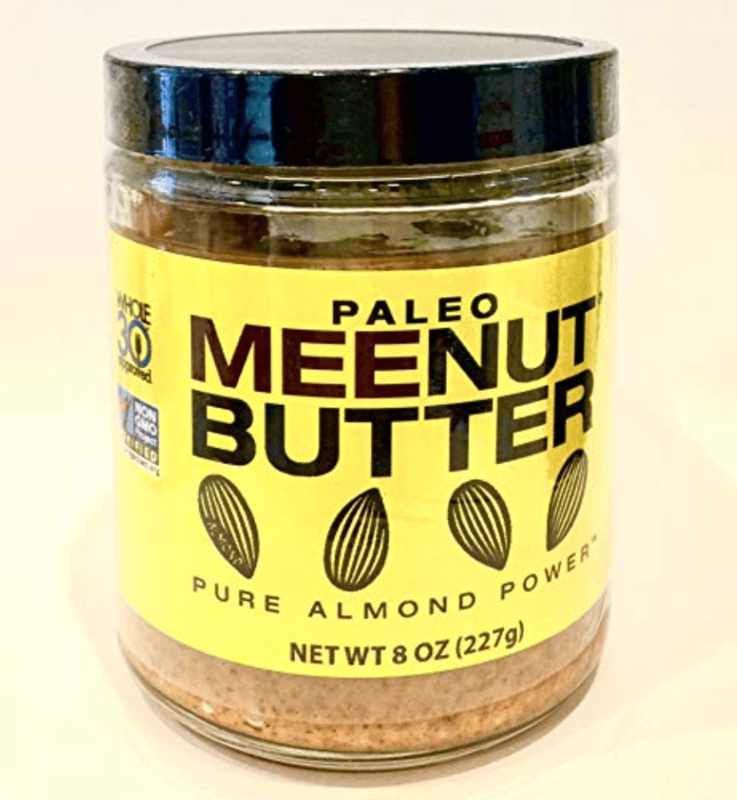 *This is one of the two officially Whole30 Approved Almond Butter Brands. Ingredients: 100% Roasted California Almonds; Contains: Tree nuts; May Contain: Pieces of nut shells and/or nut shell fragments. Ingredients: Organic Raw Almonds (California). 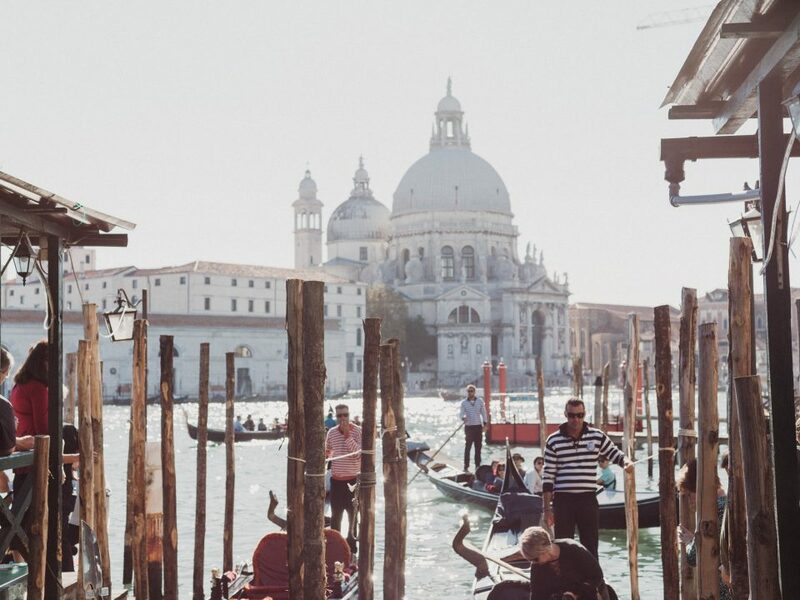 You can find it here on Thrive Market and get 20% off your first 3 orders. Ingredients: Blanched Roasted Almonds and Palm Fruit Oil. 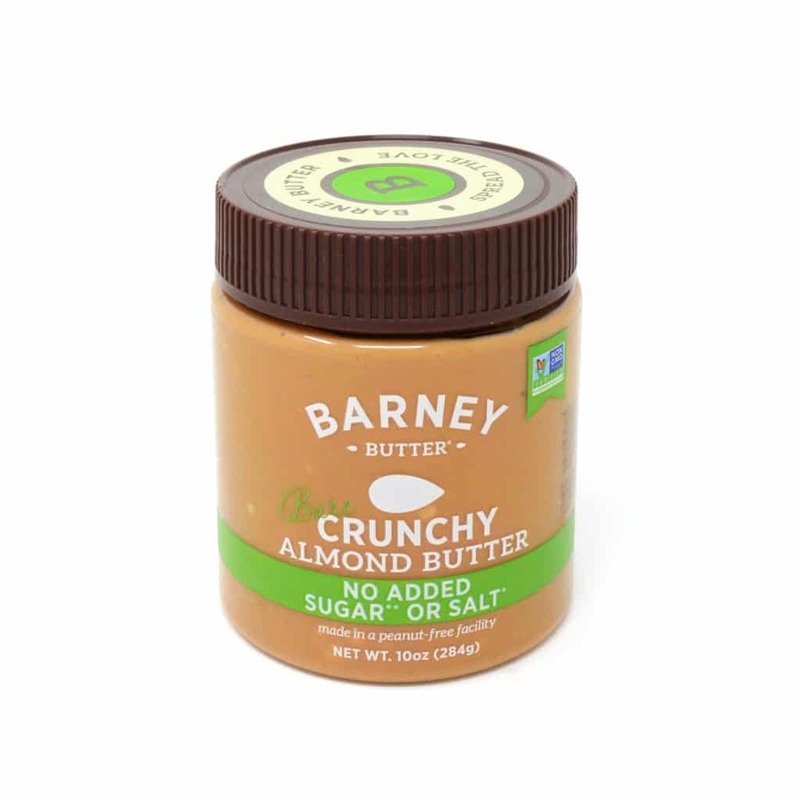 Barney Bare does not contain added sugar and salt. 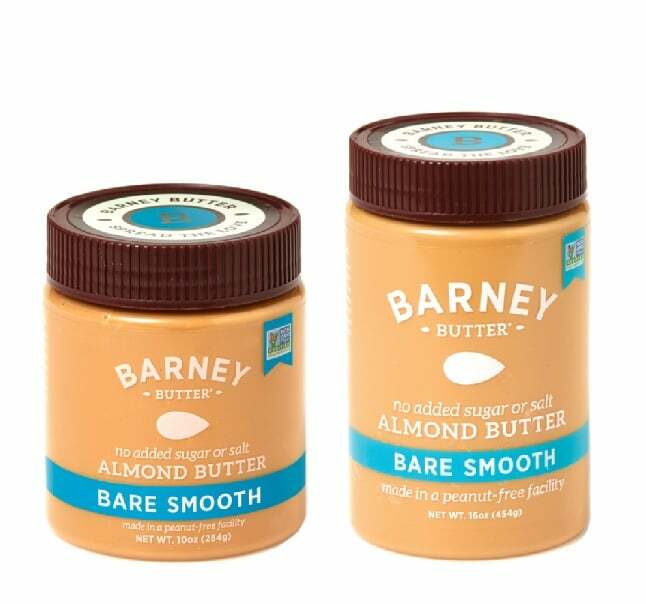 You can find all of the Barney Butter’s online or in stores. Ingredients: Unroasted Almonds, Chia Seeds, Palm Fruit Oil. 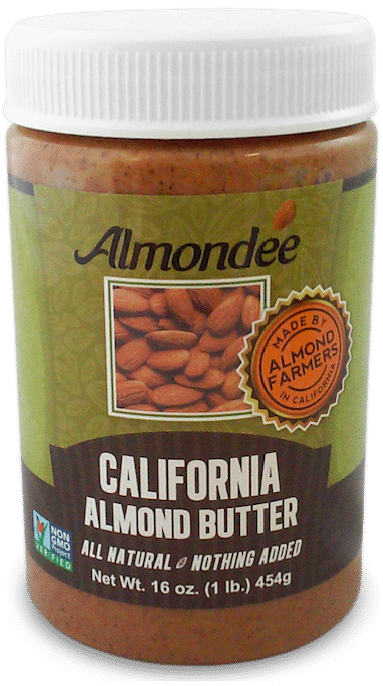 Ingredients: Almond Butter that is gluten-free, non-gmo, all natural and contains one ingredient, dry roasted California Almonds. Ingredients: Dry Roasted Almonds, Palm Oil. 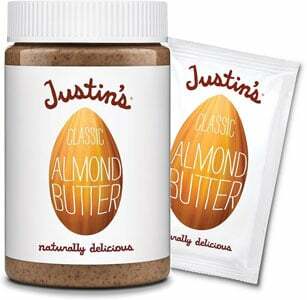 You can find Justin’s in stores or online. 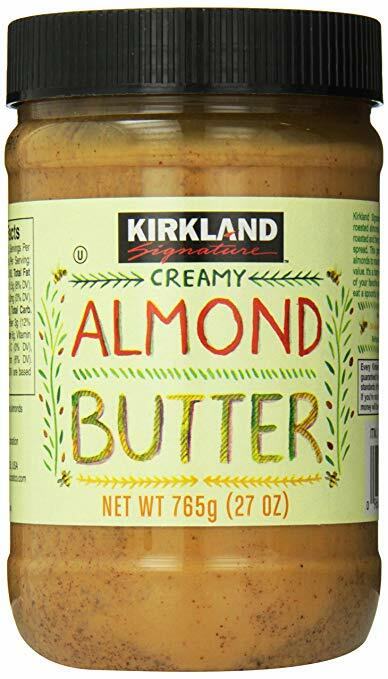 You can find Kirkland’s Almond Butter in store or online. Ingredients: Dry Roasted Almonds, Sea Salt, Less Than 1% Dry Roasted Cashews. Contains Almonds And Cashews. 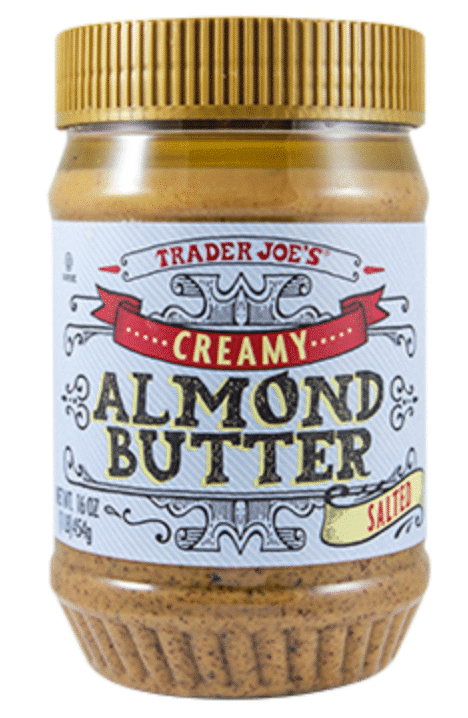 You can find Trader Joes Almond Butters in store or online. 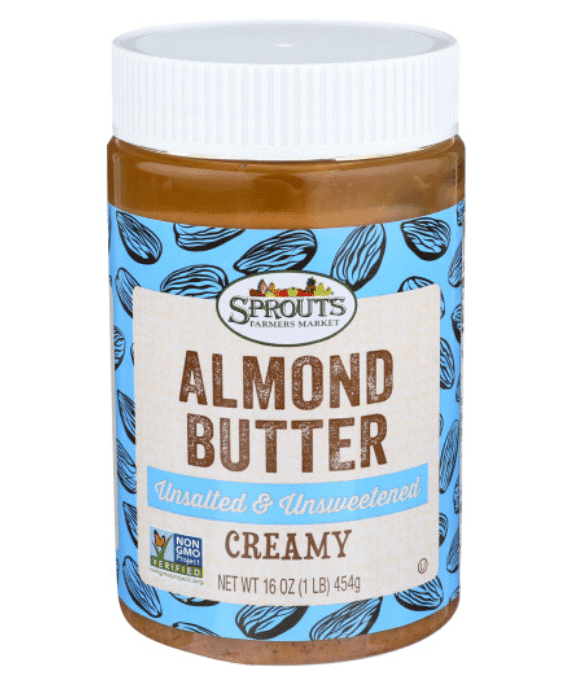 You can find Sprouts Almond Butter in store or online. 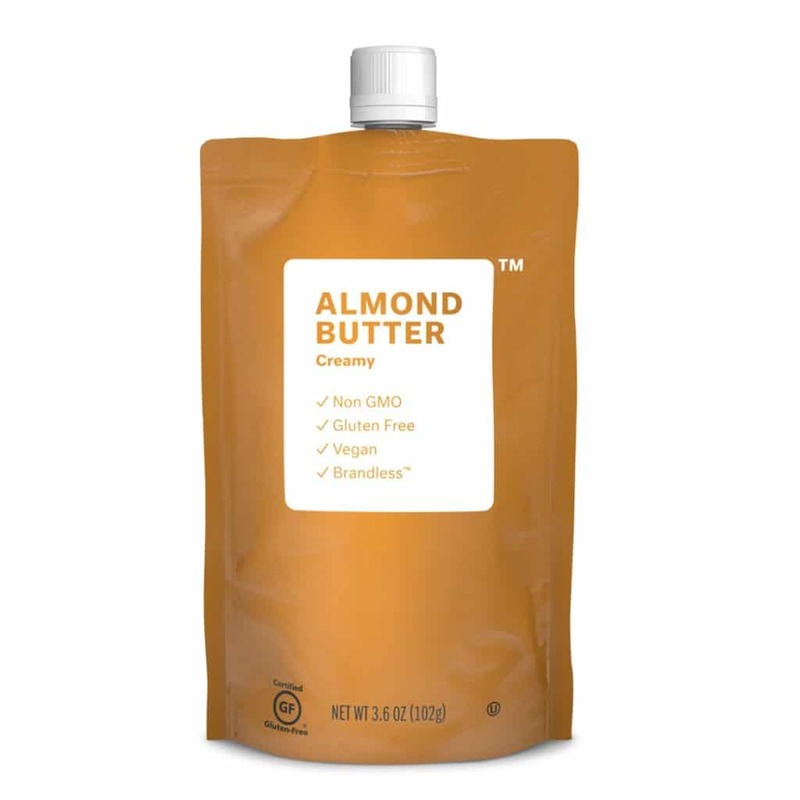 You can find Brandless Almond Butter online. 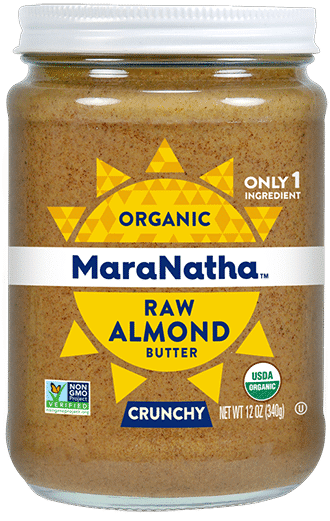 You can buy MaraNatha Almond Butter in store or online. Ingredients: 100% Organic Raw Almonds. 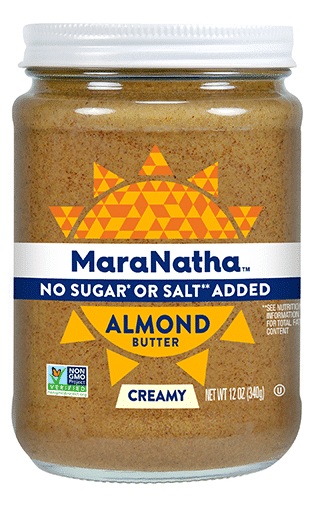 Are there any Whole30 Approved Almond Butter Brands that I missed? Comment and tell me below! 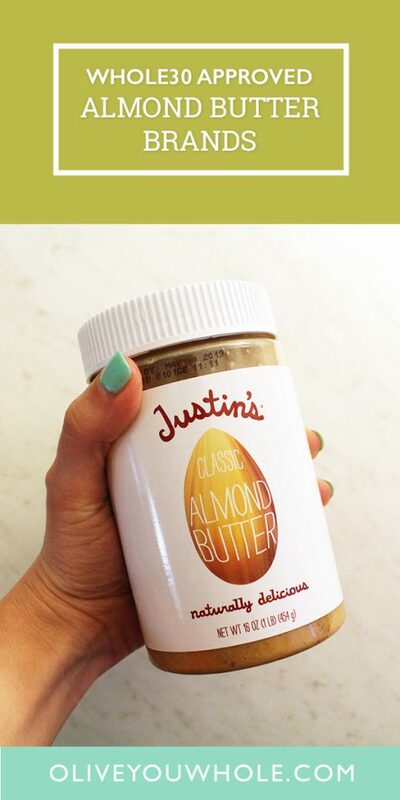 Want to save this Whole30 Approved Almond Butter Brands resource to reference later? Pin it here!